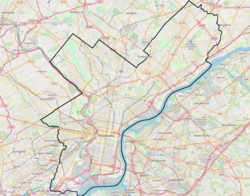 Upper Holmesburg is a neighborhood in Northeast Philadelphia. It is located along the Delaware River and Pennypack Creek, from Frankford Avenue to Willits Road. St. Dominic Roman Catholic parish is located in this section on the 8500 block of Frankford Avenue. This page was last edited on 23 April 2018, at 14:49 (UTC).